There are many architectural designs for homes and commercial buildings that incorporate flat roofing. 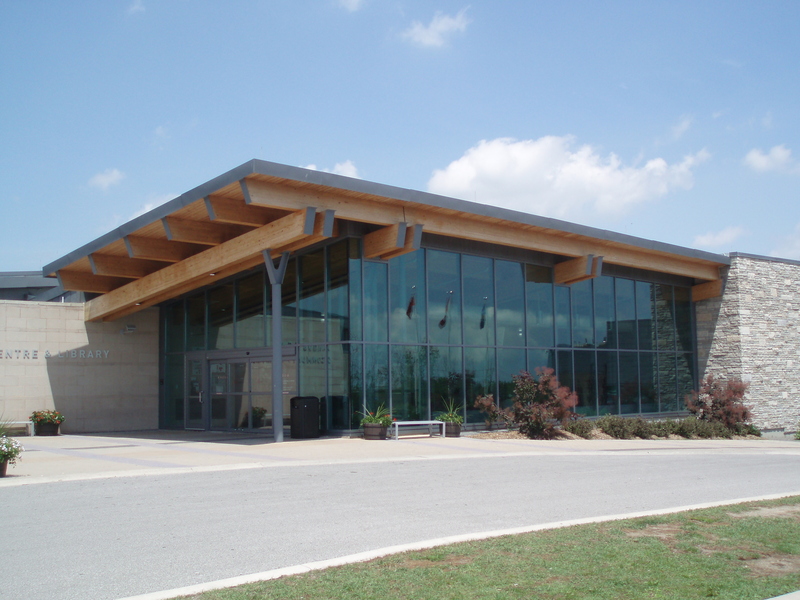 A flat roof not only works with the aesthetic of many building designs, but it is also durable and resistant to environmental factors that can lead to roof damage such as wind, hail, and animals. Flat roofing in residential settings may also be used for an outdoor living space or rooftop garden, adding a unique element to the building. The one challenge with flat roofing is ensuring proper drainage. Unlike other roofing types that are slanted or sloped to allow water to drain automatically, flat roofs need a built-in drainage system to help remove moisture and debris. 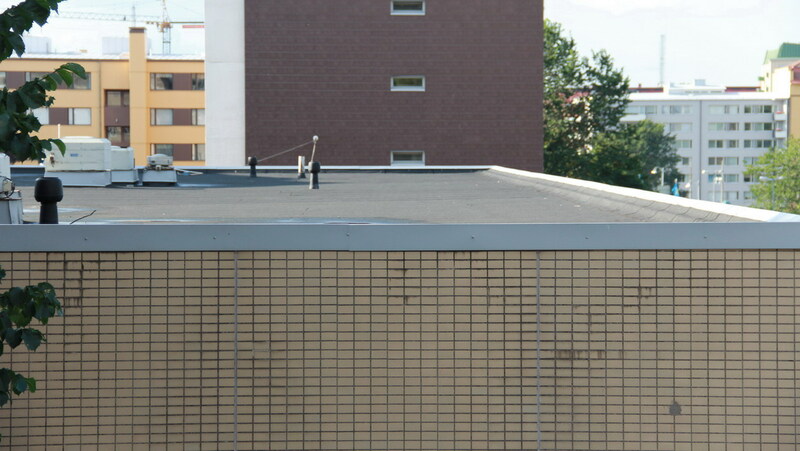 Poor drainage can lead to serious issues with flat roofing, from leaks to structural damage. There are several drainage solutions available for flat roofing and it is important to consider the pros and cons of each system before making a decision. This guide explains the advantages and disadvantages of the three most common flat roof drainage solutions; interior drains, gutters, and scuppers. Leaving your flat roof without a drainage system will greatly increase the risk of these issues. Fitting the roof with one of the following systems to ensure proper drainage will help keep it protected. Interior drains work just like the drain in your shower or sink. These drains are placed in areas of the roof that collect the most water, and they lead the water into a system of pipes that is installed below the roof. 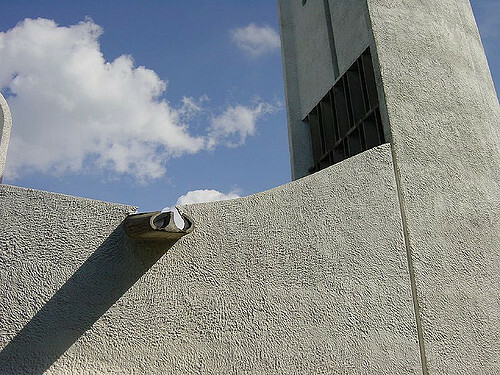 The water travels through these pipes until it is dispensed into a gutter or downspout at the side of the building. The walls and foundation are protected from water damage. The pipe system is protected by the roof and walls of the building which reduces the risk of cracking or freezing. Interior drain systems are customizable and can improve the curb appeal of your home or building. Interior drains are the most expensive flat roof drainage system. While this system is less likely to sustain damage, any damage that does occur must be repaired by a professional roofing technician. The drains and pipes can easily become clogged with debris. You must install strainers on the drains to prevent debris blockage and routinely check the system for debris buildup. Gutters are the most commonly used, and most cost-effective drainage solution for flat roofs. They catch rainwater as it rolls off the edge of the roof and divert the water into a downspout that dispenses it a safe distance from the foundation of the building. This prevents the water from rolling off the roof uncontrolled and running down the side of the building which could damage the siding, windows, and foundation. There are a couple of disadvantages to using gutters on flat roofs. Gutters need consistent cleaning throughout the year because they gather debris that can block the flow of the water. If this debris is not cleared out, the water will overflow and run down the side of the building. Gutters are also susceptible to damage from severe weather, ice, and heavy debris. It is important to weigh these disadvantages against the low cost of gutters before making a final decision. Scuppers are the most effective drainage solution for flat roofs. With this system, large square openings are made along the edge of the roof that shoot the water away from the side of the building. Sometimes downspouts are installed directly below these openings to catch the water and drain it away from the building and foundation in a controlled manner. While scuppers are the generally the best drainage solution for flat roofs, there are some disadvantages to take into account. Any downspouts that are installed below the scuppers for drainage are vulnerable to clogs and must be checked regularly for debris. Scuppers can also be ineffective for heavy rain and snowmelt, and they are less effective on flat roof with little to no pitch to guide the water to the edges. Scuppers must be cleverly designed for the best effect. When it comes to choosing a drainage solution for your flat roof, it is important to consider the cost of the system, its durability, and the type of maintenance required. Every drainage system discussed here is vulnerable to clogs from debris, but you can largely avoid this risk by using scuppers with no downspouts. If you are not sure which drainage system will work best for your roof for your money, consult the roofing professionals of Reliable Roofing. Our technicians install and maintain all types of flat roofing and we can help you choose, install, and maintain the right drainage solution for your home or building.